New satellite images have revealed more than 100 objects in the southern Indian Ocean that could be debris from a Malaysian jetliner missing since March 8th with 239 people on board, Malaysia’s acting transport minister said today. Hishammuddin Hussein told a news conference that the images were captured by France-based Airbus Defence and Space on Sunday. They are the fourth set of satellite images to show potential debris from Malaysia Airlines Flight MH370 in a remote part of the Indian Ocean roughly 2,500 km south west of Perth. 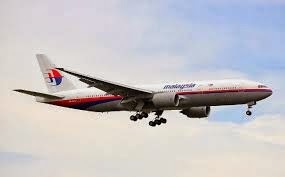 No confirmed debris from the Boeing 777 has yet been identified. Meanwhile US equipment designed to detect black box signals arrived in Australia today. A dozen aircraft from Australia, the United States, New Zealand, China, Japan and South Korea were once more scouring the seas in the hunt for wreckage, after bad weather yesterday forced the suspension of the search. “The crash zone is as close to nowhere as it’s possible to be but it’s closer to Australia than anywhere else,” Australian prime minister Tony Abbott said, before leading the country’s parliament in a moment’s silence. Malaysian prime minister Najib Razak this week confirmed that Malaysia Airlines Flight MH370, which vanished while flying to Beijing from Kuala Lumpur, had crashed in the southern Indian Ocean. Citing satellite-data analysis by British company Inmarsat , he said there was no doubt the Boeing 777 came down in one of the most remote places on Earth - an implicit admission that all 239 people on board had died. Recovery of wreckage could unlock clues about why and how the plane had diverted so far off course in one of aviation’s most puzzling mysteries. Theories range from a hijacking to sabotage or a possible suicide by one of the pilots, but investigators have not ruled out technical problems.